That's right! 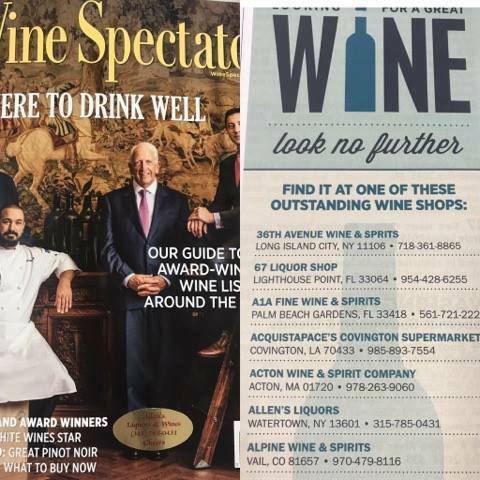 We've been featured in the Wine Specator's August 2017 edition for "Outstanding Wine Shops" This is the fourth time our awesome store has been featured! Pop in and see why Allens made the list, yet again! Cheers everyone! ​ Price discount at time of tasting!